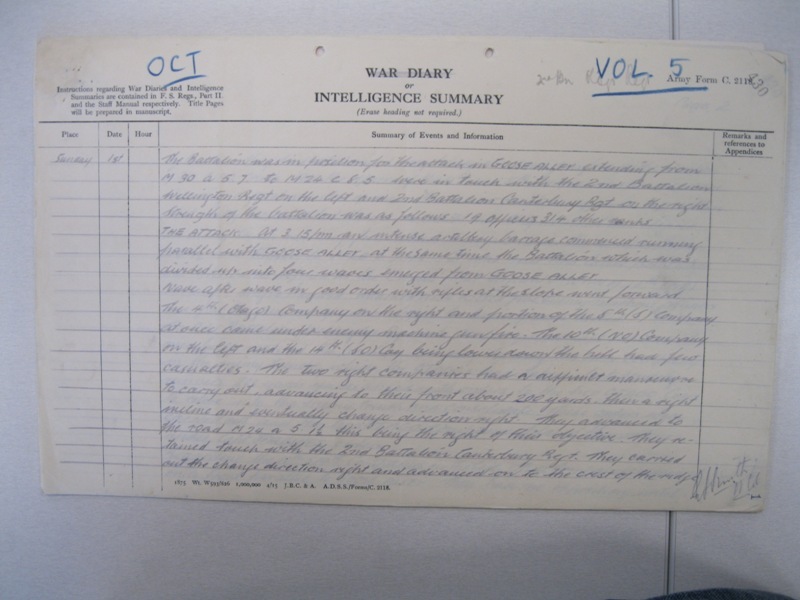 NZEF Otago regiment war diarys available? 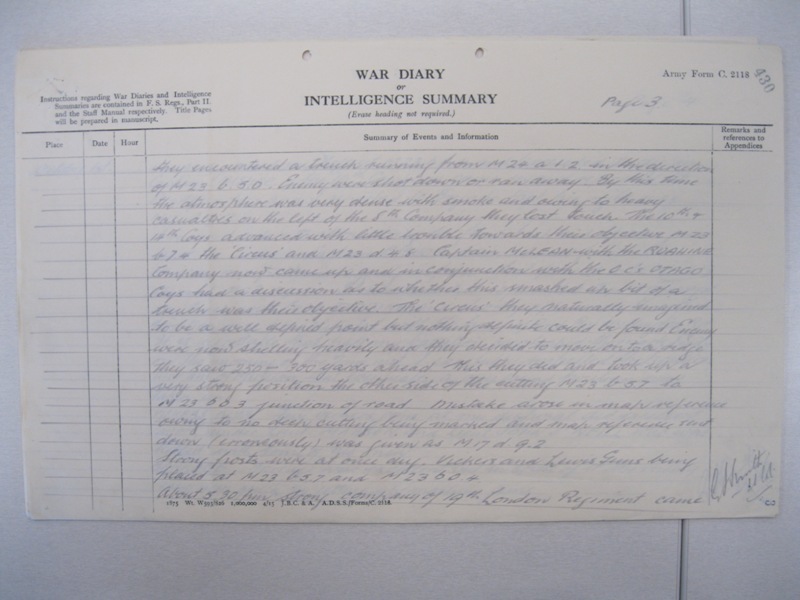 I am trying to research a NZEF chap: Frederick James Puckett 8/4210, 2nd btn Otago regiment, who DOW 3/oct/1916 and wondered if war diaries are available? nzetc.victoria.ac.nz and search in there. 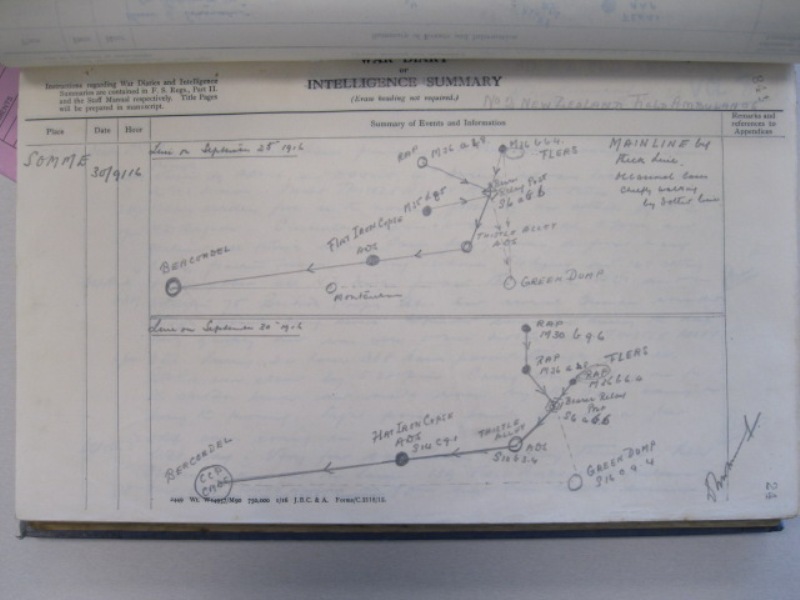 Otago Regiments War Diaries are in the collection on line. 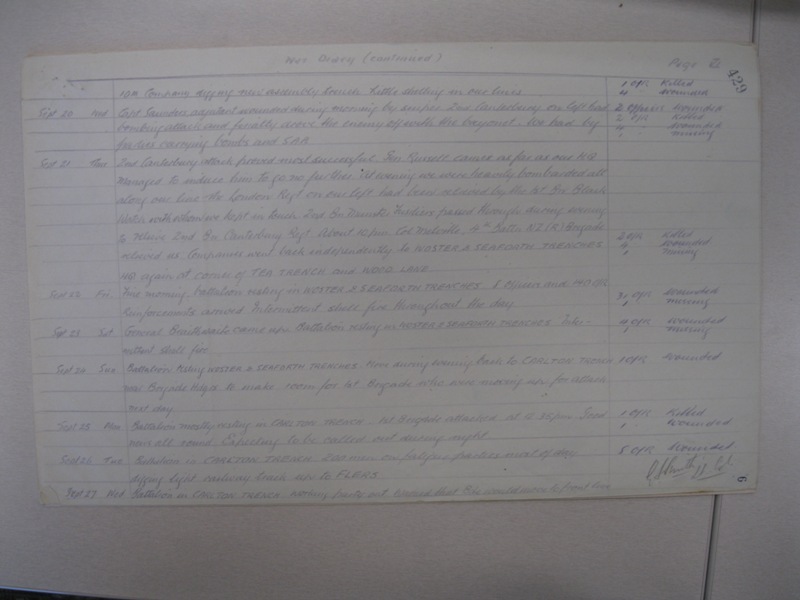 Otherwise the National Archives or the Auckland War Memorial Museum may have his records on line. 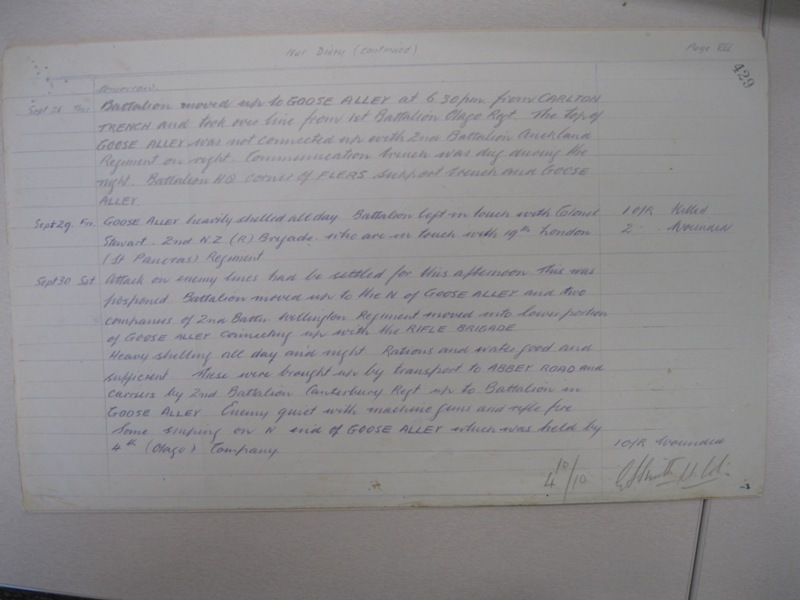 Its the History of the Otago Battalion that is found at NZETC. 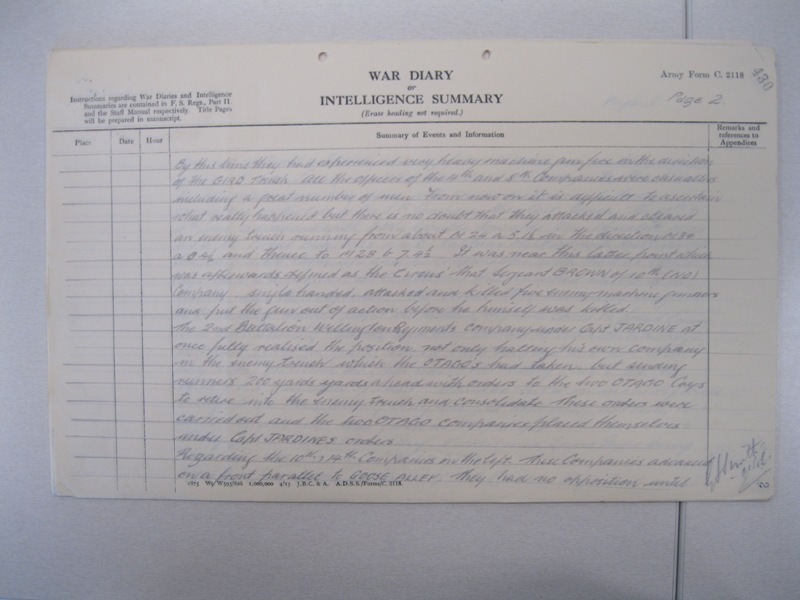 The War Diaries are held at the National Archives, I have heard that the NA are planning to have these all up on line for free in the near future, as a centenary project. I have copies and will see if I can load them up. 2/Otago was attacking Goose Alley at the time. I don't know what the turn around time is at this time for wounded, but from what I understand they wanted to evacuate wounded back as fast as they could, and being that we were advancing in the frontline, rather than retreating or stationary - I would imagine wounded were not laying around on the battlefield for long. But here are the entries for the prior week, I note on the right column that there were regular casualties each day. I'll have a look at the NZ medical Corps diaries and we maybe able to work out which RAP and ADS he went through to be buried here. Green Dump is probably the most likely candidate. I'll do that tonight, so your morning. Roger is dead right - I didn't read your query correctly - you are on the right trail now. 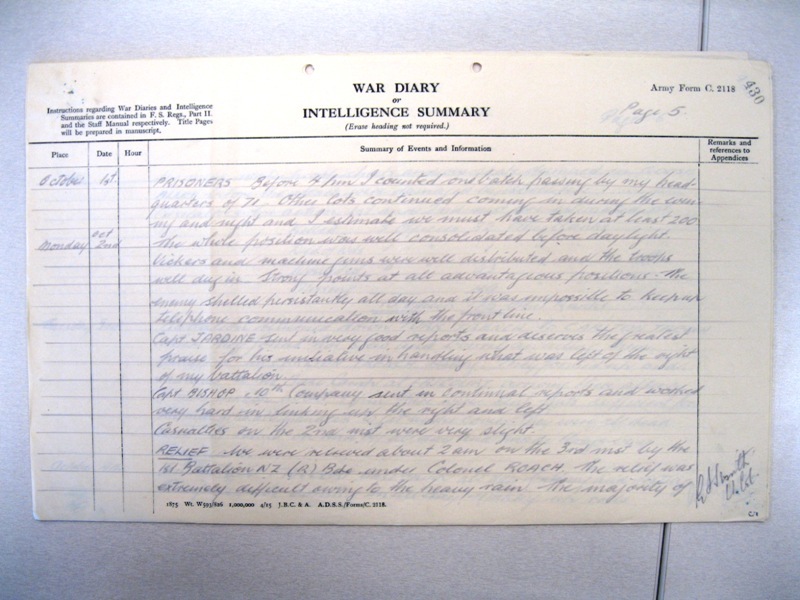 It would be great if the war diaries were published on line. 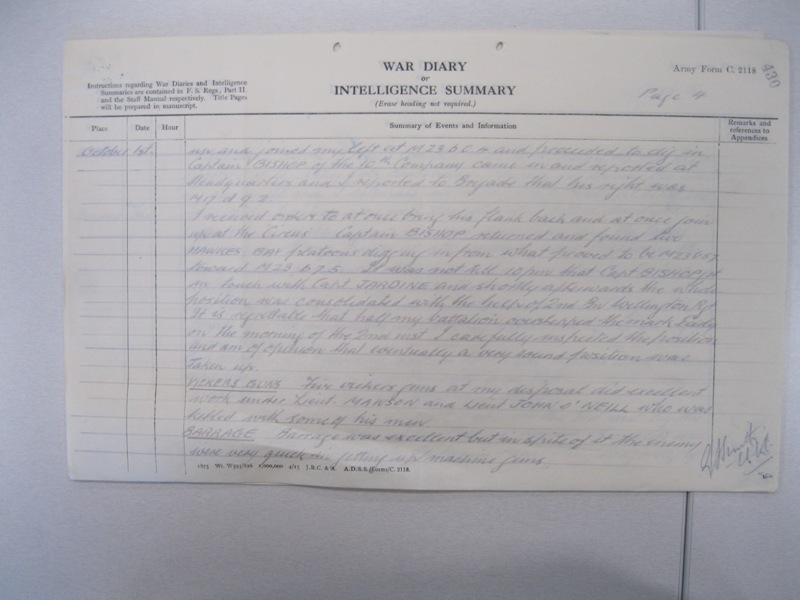 3/NZ Field Ambulance were running the ADS at Green dump (16.c.9.4.) from the 17th September - through to 7th October 1916. its a reasonable distance from where your bloke is buried. so without his military file being on line it is only guess work that he went through Green Dump. He may have gone through the British RAPs on the left flank to end up at this Cemetery? or his grave moved here after the war. Thistle Alley (cemetery) is shown as the main route. 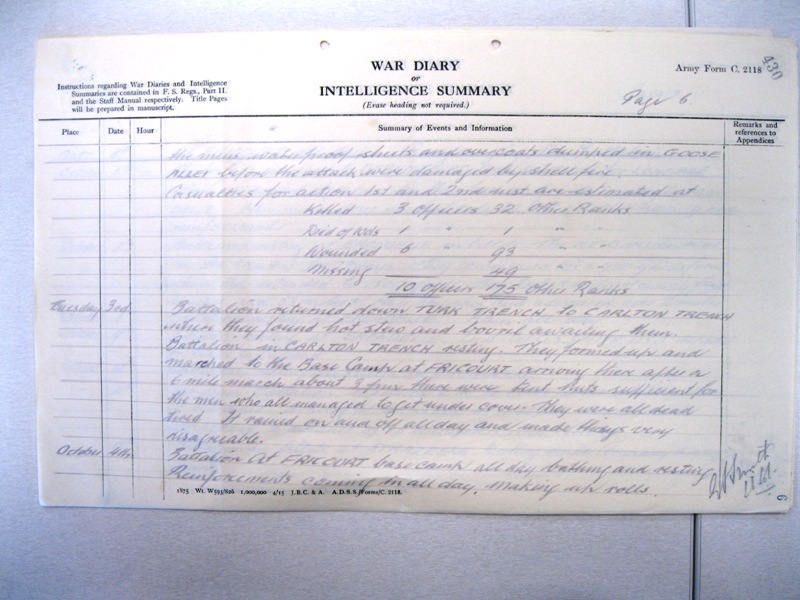 The 3/NZ field Ambulance WD is not very informative as is only lists names of unit casualties for the 3NZ FA and nothing about what else occurred each day. Actually his grave is in what appears to be the original area of the cemetery. and only one other Kiwi is buried here so they must have been evacuated out by the British through there Raps. The bulk of the Kiwis are in Caterpillar Cemetery, but all were transferred here after the war from now non-existent cemeteries or isolated graves. I am researching the names on Penrith War Memorial (Cumbria). A native of the town, William Turner (born 1888) emigrated to NZ 1913/14. and joined the 2nd Otago Bat. Oct 1915. only to be killed on 1.10.1916. Thank you, a most interesting read. Frederick James Puckett was a family member of mine. I have been looking to get his Death plaque returned to family. It was bought by 2 doorstep callers at my 85 year old parents house in Dorset 2013. I found out it was sold at an auction in Norfolk later that year. Frederick was British but joined the NZ Army, my father has newspaper cutting of the regiment marching to embarkation. If you are the present owner i would interested in anything you have found out.